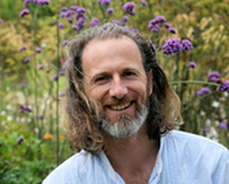 ​The Wisdom Keepers Oracle Deck and Inner Guidebook are deeply connected to the work of Richard Rudd, a world myth teacher, award winning poet and author of The Gene Keys: Unlocking the Higher Purpose Hidden in Your DNA. While the Wisdom Keeper Oracle Deck stands happily on its own, I've also intended it to act as a warm welcome into the world of the Gene Keys. I highly recommend that anyone who feels drawn to this Oracle Deck consider exploring and purchasing The Gene Keys book as an unfathomably enriching companion to your process. If you feel a positive stirring inside, you shall not regret taking this leap! Order The Gene Keys book here! As I intuitively received the 64 Faces of Awakening, and then their transformative stories, I recognized them as keepers and transmitters of archetypal wisdom. I felt drawn to exploring how they might be connected to other significant archetypal inquiries, such as the work of Carl Jung (with his emphasis on the Shadow), the ancient philosophical system of the I Ching (with its 64 hexagrams), and the plethora of modern, mystical and creative manifestations born from the I Ching, including Ra Uru Hu’s Human Design and Richard Rudd’s The Gene Keys, two central streams of inspiration in my work with clients and students. The I-Ching and the number 64 have unusual significance in many areas of human explorations—including art, cosmology, religion and science. I've explored these areas in my personal, spiritual and professional studies over the years. As I’ve integrated them into my work as a counselor and teacher, they have come to hold special meaning and power for me. When I explored ways to expand the 64 Faces of Awakening and bring these wise beings into the hands of people through a practical and empowering Oracle Deck, I found myself resonating most strongly with the profound work of Richard Rudd, author of The Gene Keys. With care and gratitude, I did my best to incorporate the most essential concepts and key words of The Gene Keys into the text in this Inner Guidebook, found at the introduction to each Wisdom Keeper. My core intention in weaving together the 64 Faces of Awakening and The Gene Keys through this Oracle Deck is to explore ways the Wisdom Keepers can serve people in a practical, playful, psychologically insightful and personally transformative way. What are the Gene Keys? The Gene Keys is a body of knowledge aimed to help transform our core self-beliefs, expand our consciousness and release our individual creative genius into the world. There are 64 universal archetypes that lie at the heart of the Gene Keys. The 64 Gene Keys correspond to the 64 hexagrams of the I Ching, the 64 codons of our human DNA and the 64 Wisdom Keepers in this deck. Each of the Wisdom Keepers reflects and transmits the essence of their particular Gene Key or underlying archetype through a unique story. Their stories are here to illuminate how each of the archetypes can play out in a human life and how they transcend culture, ethnicity, race, religion and age. Weaving together a tapestry of psychology, sociology, mysticism and indigenous understanding, the Wisdom Keepers have the power to catalyze a profoundly transformative and mystery-celebrating journey in you. When exploring the Wisdom Keepers, you’ll notice that each of them is connected to a particular Shadow, Gift and Siddhi. In the Gene Keys, these three words -- reflecting archetypal states -- are referred to as the spectrum of consciousness and they are connected to the human experiential stages of Survival, Service and Surrender. SHADOW: When we’re worried about survival and fear is in the driver’s seat, we find ourselves in SHADOW territory. Our shadows can be expressed in repressive or reactive ways. GIFT: When we’re more interested in serving others than protecting or defending ourselves, we more naturally share our GIFTS with others and feel a sense of belonging in the world. SIDDHI: When we have entered a pure state of expansion and have completely surrendered our sense of separateness into the Whole, we’ve entered the realm of the SIDDHI. Each of these three stages plays an essential role in our psychological and spiritual development as human beings. There is no Gift without the Shadow, no Siddhi without the Gift, no Shadow without the Siddhi. These states of being (or frequencies) breathe and dance together as we evolve. Understanding how the Gift, Shadow and Siddhi are constantly interacting with each other throughout our lives can help us engage with the Wisdom Keepers -- and ourselves -- with greater compassion and patience. As we awaken to the full spectrum of our human consciousness, we become more gentle with ourselves and we begin to notice larger growth patterns at work. It is important to understand that even if we’ve been on a sincere spiritual path for years, we’re still likely to find ourselves moving in and out of the Shadow and Gift states. We may re-experience feeling stuck in familiar ruts, yet this is perfectly natural. Periods of sadness, fear and frustration can actually be quite fertile if we can just hang in there without too much self-judgment. Over time, as we revisit the Shadow realms with less resistance, we notice that their grip loosens -- they no longer determine our attitudes, decisions and actions. So, when you read the Wisdom Keeper stories and contemplate how their underlying themes may be playing out in your own life, I invite you to hold the spectrum of consciousness and the delicate interplay of these states in your heart and mind. You will notice in this deck that the Wisdom Keeper stories focus primarily on the Shadow and Gift expressions of each archetype. The Siddhic realms are communicated energetically in the cards, through the expression in the eyes, the symbols on the face, and the invitation into a sacred relationship. Each Wisdom Keeper has the potential to penetrate deeply into your heart and open you up to a mystical experience. As it always is with the Siddhi, there is nothing you need to do, nothing you can make happen. Just stay open, and surrender. The feelings and thoughts seem real enough, but we’re no longer trapped and controlled by them in the same way. We begin to sense our evolution as our love and desire to serve become bigger motivators than our fear and need to protect or defend ourselves. In our efforts to serve, our unique Gifts begin to find their natural expression and we become increasingly available to experience pure states of love, understanding and aliveness. The Wisdom Keepers Oracle Deck makes a wonderful learning supplement for Gene Keys (and Human Design) enthusiasts. Given that the Gene Keys represent a vast body of knowledge and are intellectually rigorous, this deck offers people an additional way to glean its essence -- one that is direct, intimate, relational, and heart-opening. A number: Each Wisdom Keeper is associated with a number. Each number is connected to one of the 64 archetypes, as revealed through the 64 Gene Keys, (the 64 Gates in the Human Design Bodygraph), and 64 hexagrams of the I Ching. Programming Partner: Just as each Gene Key has a Programming Partner, each Wisdom Keeper has a partner. Together they reflect a paradox as well as a totality. I encourage you to explore the partnerships, and allow them to inspire you. A Wisdom Story: Each Wisdom Keeper shares an archetypal yet deeply personal story. You will notice that none of the Wisdom Keepers have arrived at the place they are today without experiencing their own form of suffering, or without embracing a shadow. A Gift for You: Each Wisdom Keeper brings you a gift of wisdom and guidance. The Gift is offered through words that come straight from the heart. Questions for Contemplation: Contemplation is one of the most gentle yet powerful ways to catalyze a deep transformation in your life. Simple yet poignant questions are offered to help you connect with the Wisdom Keepers and their stories, and to integrate their guidance into your own life through a specific invitation or action step. In each Wisdom Keeper story, you will find that Gene Keys-related keywords are italicized. The cards have also been color-coded for those who want to work intentionally with the 21 Codon Rings of the Gene Keys, or Wisdom Keeper ‘soul groups’. See into these beings, and to allow them to see into you. Engage with your full heart. Your relationship with these wise ones can help you process and metabolize the teachings of the Gene Keys, embrace your shadows with love, and have a direct & expansive experience of your own Gifts. Using a deck like this can add a dimension of playfulness and synchronicity to your explorations. As you explore the faces in The Wisdom Keepers Oracle Deck, remain open and receptive. You may find yourself feeling particularly drawn to one Wisdom Keeper... or more. Trust there is a reason for this. There is transformative power in your connection. Remember, it is impossible to make a mistake or receive the wrong wisdom Keeper. created by Elijah Parker and Richard Rudd.